Which Step Am I On? Where am I in my current situation? Sorry I’ve been away so long. You see, I recently started a new job. But I am getting ahead of myself. Perhaps a bit of background is in order here. I have worked in the wireless industry for nearly 20 years. From early in my career, I was fortunate to be afforded the opportunity to move into disciplines outside my initial area of expertise. For example, I was hired as part of the accounting group. From there I went on to manage the State level financial analysis team. Later, I managed customer operations and currently I am part of the network engineering management team. This movement has broadened my experience and expertise as a manager. It has also made me a stronger leader. It was a great way to give me a better understanding of the industry, the company and all its disciplines. At the same time, it gave the company good insight into my strengths and lesser strengths. OK, now that we have that out of the way… recently I started a new job in yet another part of our company. As I have been working to get my arms around the new responsibilities, I was reminded about the Stairway to Competence. In The Boss, I wrote about Dean, a young man who worked in a fast food joint. During his time there, he met The Boss, who became his mentor. The Boss taught him life lessons that revolutionized his thinking. Those lessons changed the way he looked at work. They changed the way he approached things that needed to be done. They changed how he interacted with other people. The time that Dean spent with The Boss put him on a new path that led to success in pretty much every area of his life. One of the lessons Dean learned was the Stairway to Competence. The Boss taught Dean how a person grows when they start a new experience. The journey is defined in four steps: Confusion, Confirmation, Clarity and finally, Competence. Confusion – When we begin a new job, a new hobby, a new process, a new – well, you get the picture – whenever we begin anything new, we start out on the first stair. It is called Confusion. In the Confusion stage, we don’t know what to do. We don’t know what questions to ask. We don’t even know all the things we don’t know! As we begin to understand the players, key points, actions, tasks, steps and other parts of the new assignment, we move to the next phase. That is the second step, called Confirmation. Confirmation – As you can imagine, the first stair of Confusion is very humbling, especially if you have just left a job, situation or assignment in which you were at the top of your game. Maybe you have changed careers, or moved to a different role within your existing company. No matter what the reason, starting over is tough. That’s what makes this second level of Confirmation such a key part of the process. In the Confirmation stage, be patient with yourself. As the “newbie”, you need frequent encouragement. When you do something right, it helps to have it affirmed. When you do something wrong, a gentle correction is in order. (As a manager, a good rule of thumb if you are working with someone in this stage is to complement them when they do the right thing, and gently guide them if they make a mistake). When we are on this stair, we know what we don’t know because someone is telling us. The goal at this point is to build confidence to propel us to the next step. That stair is called Clarity. Clarity– This is the stage where we begin to have a little spring in our step. We speak a little louder and with a little more confidence. We speak up in meetings. We offer input. We have begun to “connect the dots” and better understand the relationships between the things we are learning. Our growth at this point is accelerating. In the Confusion stage we didn’t always recognize what we needed to know. In the Confirmation stage we began to learn, but often the knowledge was “piecemeal”, without a full context. It is in the Clarity stage that these disparate pieces of information begin to coalesce. We begin to put the puzzle together. Things become clearer and our confidence grows along with our understanding. We know what we know if we think about it. Competence– As the pieces come together in the Clarity stage, we fill in the gaps. 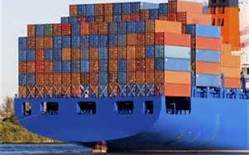 Our knowledge increases and we move more fluidly through the task, the job or whatever we are doing. Ultimately we reach the top stair, the final stage of Competence. At this level, most of our responses are intuitive. In the Confusion stage we lacked understanding, in the Confirmation stage we understood if someone gave us direction. In the Clarity stage we had a grasp on the knowledge, but still had to think carefully through the steps. But the Competence stage is intuitive knowledge. Our experience and familiarity help us to move more quickly and accurately through the decisions and actions necessary to do the job at hand. We need a wholesome discipline to ensure we are grounded. We need rest and relaxation. We need emotional, spiritual, physical and intellectual balance. As Solomon put it, to everything there is a season. The foundation provided by our balance will help propel us to the next level. Steve Jobs urged the team at Apple to “put a dent in the universe”. That is good advice for each of us. Remember, no matter what step you are currently on, the next one is there waiting. Over the course of our career and our life we climb many stairs. The process repeats itself over and over as we move to new jobs, new relationships, new companies and even new careers. Each thing we learn is a stepping stone to the next thing we need to know. Each stair we climb brings us closer to fulfilling our dreams and our destiny. So go make your dent. For more information on The Boss, visit terrynewberry.com. 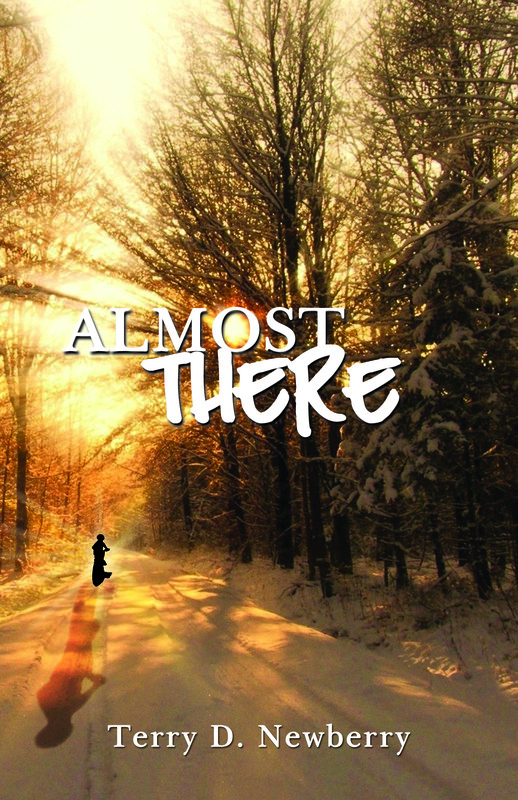 psalm/one press is pleased to announce the upcoming release of the newest book by author Terry D. Newberry – Almost There. I received the galley proof of my new book, Almost There, this week. Writing is an amazing art form. The process of seeing something in my mind’s eye and then trying to make it visible to the reader is a tricky business, filled with potholes. It involves countless hours spent thinking and researching and dreaming. It involves late nights spent hunched over a keyboard in a dark room, weaving letters into words. Those words become the tapestry of the tale in my mind. And then I have to somehow capture it all in a few hundred pages. Words are fragile things, you know? The frailty of words can never describe the truth of where we’ve been. Almost There contains 39,653 words. I typed every one of them, some of them more than once, my mind brimming with questions. A lot of questions. What words should I use? How long should the sentences be? How about the paragraphs? How can I hold the interest of the reader? How can I bring the characters and lessons to life? What can I leave with the reader in return for their investment of time, attention and money? How can these words leave them in a place that is happier, wiser, and maybe more spiritual than they were before? How can I create a tale that is entertaining, thought-provoking and inspiring? How can I create a work that affects someone’s life in a positive way? I wish I could tell you honestly that I knew all the answers to my questions. But the simple truth is that I don’t. But with those questions as my guide, I put on paper those 39,653 words, one word at a time. And then I deleted. I backspaced. I read and reread. I crossed out and penciled in. I looked up definitions and synonyms and checked spelling. I looked for errors in grammar. I looked for those pesky run-on sentences. I gave the manuscript to a trusted friend who is a writing genius, to read and offer corrections, which she did with grace and good humor. I gave it to another friend, also a genius, and he did the same. I made changes and updates. I put the manuscript in a drawer and let it age. I pulled it out again and started the entire process over. I read and re-read it dozens of times. And along the way, a story began to emerge. It has its roots in a true story from when I was a kid. One day it snowed, which was a big deal in my little southern home town. I got it in my head that I needed to go see my friend Rory, a journey of a few miles by bicycle, which was my singular form of transportation. Somewhere along the way as I pedaled the snowy streets I began to think about how cold I was, followed by how wet I was, followed by how miserable I was. Soon my thoughts turned into a focus. Soon my focus turned into an obsession. Clearly I was too cold, too wet and generally too miserable to finish my trip. So about seven or eight miles into the journey, I turned around and headed back home. Two miles from the finish line, so to speak, I gave up, I quit, finito, kaput, done. I abandoned ship. I was too focused on the misery of my situation to complete the final two miles of the trip. Instead, I decided to turn around and ride eight miles back to my house. It didn’t occur to me until years later how often that happened in my life. Quitting was the pattern. Quitting was the legacy, the gift bestowed, passed down from father to son over many generations. Quitting was easy. I was defined by limitations set by others, boundaries and histories and tendencies sketched out by my father, and his father before him. But I knew those places and had no desire to be an inmate of such prisons. I wanted to be different but had no idea of how to go about the overwhelming task of becoming a different me. To paraphrase Pat Conroy, I struggled with all my might not to become the man I was destined to be. It seemed that often I gave up just before the big break came. Time and time again I was turned away from the finish line by the ghosts of those I had met only briefly, if at all. So I decided to try an experiment. I made a deal with myself – whenever I was tempted to give up, I would stay focused just a little bit longer to see what happened. And the result changed my world. I was astounded at how many times I realized my goal by hanging in there “just a little bit longer.” Slowly I began to understand that my future was not preset. The past held no power over me, its shackles could not withstand the force of faith. It was a wide – open place filled with all the possibility that I could ever dream of. One day I was teaching a seminar and shared the story of my doomed bicycle journey. The telling planted a small seed of possibility in my life. I began to think about all the times I had quit just the tiniest bit too soon. I thought about the countless people who had shared their stories of regret and “Woulda-Coulda-Shoulda” disease. I thought about all those I had met who suffered from “If-Only” syndrome. How many of us give up just before we are poised for amazing breakthroughs? How many of us spend our time turned around backward in the seat, looking at missed opportunities or bungled relationships or fumbled decisions and, in doing so, miss the awesome opportunity which lies before us like a field ready for harvest? So I picked up my pen and began to write. Shortly into the process, the book took on a life of its own. I found myself, as I often do, scrambling to keep up with the story that was busily unfolding of its own accord. It played on the screen of my mind at its own frenetic pace and cared little that I was struggling to keep up. My fingers did their best to translate the images I saw into letters and words and punctuation – word pictures – that would somehow help you, dear reader, to see the images I saw, just as they revealed themselves to me. I have tried to share their stories in the pages of Almost There; how they overcame tremendous obstacles, setbacks, disappointments and even tragedy. But unlike me, they didn’t give up too soon. Somehow they kept going in spite of the skinned knees and the bumped noses and the bruised hearts and the loneliness of failure. They kept going despite the jeers, catcalls and abuse heaped on them by DreamStealers. They just kept on. They refused to be locked in the outpost of failure. Because somewhere in their heart and soul, in a place that is lit only by the sometimes meager light of I-think-I-can, they knew that certain success lay just around the bend, just over the next hill, just beyond the next sunrise. They knew they were almost there. The story begins when Dean awakes one winter morning to a magical snow-covered landscape and sets out to visit his friend, Rory. But little does he know that he has embarked on a journey that is not of this world; it is an odyssey that will change his life. On a day filled with magic, he encounters those who have experienced everything life has to offer and have found themselves face-to-face with the ultimate decision – will they allow fear, disappointment, and set-backs to destroy their dreams? Or will they find within themselves the strength and courage to press on, to embrace a life beyond anything they ever imagined? Travel with Dean on this tale of unforgettable experiences and characters; a wandering filled with the unknown and the inexplicable as he discovers the ultimate price each of us must pay for our dreams. “Dean-san,” he said softly, “we are who we are because of the path we walk. Along the way, there are twists and turns that we cannot foresee. Sometimes we walk along a smooth path, sometimes we stumble on a path filled with obstacles and hidden snares. And at other times, tragedy befalls us.” His voice trailed away softly as he turned his face slightly, presenting to Dean the grisly reminder of such a tragedy. “Sometimes we follow the footpath of our choosing, at other times we are carried down a road that we did not choose. No matter, either way the path is ours to navigate. “And there are times when we do not follow the path at all but instead forge our own passage. We cut a way through a wilderness where none existed before, and leave a trail that others may follow. Advance orders are now being accepted for an April 1 release date! Go to terrynewberry.com and click the page for Almost There. Available in softcover, hardcover and audiobook! What am I hiding in my heart and is it hurting or helping me? One great use of words is to hide one’s thoughts. But wait, I am getting ahead of myself. First things first. For starters, you have to understand that Christmas at our house is a big deal. It’s a special time, a magical time. It generally begins the day after Thanksgiving when our family goes to pick out a live tree. Not just any tree. THE tree. It has to be the right height, the right shape, the right fullness, the right … well you get the picture. It has to be right. And the jury who makes that decision is a stringent one. It is composed of my bride and my daughters. Tough jury. So anyway, for the past several years, all has gone well. We go to our favorite tree-picking spot, clothed in jeans and scarves and coats that keep us warm. Clothes that we aren’t afraid of getting a bit dirty. Tree selection at our house is a contact sport. The girls point at the potential evergreen, and I grab it from the pile of other trees, cut the netting from it, and stand it upright. I pound the trunk up and down on the ground a couple of times to help the branches settle and dislodge all the loose needles. I stand patiently, holding the fragrant pine or fir or whatever has caught their eye. The girls circle about, looking the tree up and down like judges at a fashion show, alert for any dead limbs or large gaps in the branches or any other sort of blemish that would render it unsuitable as the centerpiece of our Christmas décor. At long last, the selection is made for the lucky tree that will become the star of the Newberry great room until sometime after Christmas day. We take it home and unload it. We trim the trunk so it is flat and able to draw in water, clip any unruly branches that might mar the perfect symmetry the girls have envisioned, and put it into our heavy-duty, very expensive tree stand. Once it is filled with water, we cover the stand with a beautifully detailed tree skirt brought back from some exotic destination like Wal-Mart or TJ Maxx. And then the fun starts. We begin hanging our decorations, and each of them brings back a memory. Some are carefully preserved hand-colored drawings, gifts from my girls when they were small. There are the bike ornaments from the year they learned to ride. Ballerinas commemorate their first dance recital. There are ornaments from trips we have taken as a family and still others from places like Russia and England where I have traveled on speaking engagements. By the time the decorations are hung, the tree is a bright and happy reminder of many wonderful events in the life of our family. This year, as always, we stood back to admire the tree. And that’s when it happened. The tree fell. Fortunately, we caught it in time, so it didn’t ruin the rug or crush the cat or break any ornaments. But it was a near thing. I didn’t want to risk another crash, so I decided to reinforce the tree to make sure it didn’t fall. I put a bag of sand on the stand to steady the base. I got a bungee cord and wrapped it around the trunk to keep it from tilting, and secured it to a nearby cabinet behind the tree. I didn’t want to mar the perfection of the tree, so I hid the sand under the tree skirt. I made sure the bungee cord was green so it blended in with the branches. By the time I was done, no one knew that I had hidden some makeshift supports in the tree to compensate for its weakness. Everyone else saw only a beautiful healthy tree. That got me to thinking. What things have I hidden in myself? And are they helping me or hurting me? The heart is a powerful thing. Things that we allow in affect us. They surface in our life as something that strengthens us or perhaps as something that weakens or even hurts us. •Ohio State University found that those who had poor control over anger actually took longer to heal from a wound. •The University of Washington linked anger and depression to every major cause of death. •Harvard School of Public Health reported that those with hostility issues actually suffered from reduced pulmonary function. •A study reported in the medical journal Circulation showed that of nearly 13,000 participants tested, those who harbored anger were twice as likely to have a heart attack, require bypass surgery, or even die than their counterparts who were better able to manage their anger. So there are some emotions that are not good things to hide in our heart. Then there is talent. Some of us are reluctant to let our true selves be seen. Perhaps we are fearful of rejection or being laughed at. Maybe we don’t want others to feel as though we are hogging the spotlight or trying to show off or take their position. Maybe we lack confidence or are just plain discouraged. But each of us has been given a talent of some sort. It may be fundamental or maybe quirky, but it is a part of who we are. Stephen King is one of the most widely-read authors on the planet. His books have sold over 350 million copies. It all started with a little book he wrote in his “study” – the laundry area of his house trailer. Discouraged, King threw the original manuscript in the trash. His wife found it and gave it back to him, telling him to finish it. He did. The book was a little story called Carrie. King, who was earning less than $7,000 per year at the time, sold the paperback rights to the book that his bride dug out of the trash – for $400,000! Don’t hide your talent. Let it out and share it with the world. And then there is wisdom. A wise man once wrote, “As you think in your heart, so you are.” What do you think in your heart? What are you feeding your heart and your spirit? What do you read? What do you watch or listen to? What are the seeds that you plant in your mind and heart, and what harvest will they bring? The world is filled with plenty of fear and friction. It has dread and disaster to spare. We live in the middle of a never-ending barrage of negativity, sensationalism, fear and “what-if” scenarios. How do you counter all that noise? Hide some good things in your heart. Find some good things to plant there. Positive things, worthwhile things. Make sure that you read something every day that will help you grow. Scripture, personal growth books, inspirational articles. Search for the keys, the secrets, the treasures that you know will feed your spirit. Make sure to filter what you choose to listen to. I don’t mean that you should stick your head in the sand, but don’t allow negative, fear-laced rhetoric to be planted in your spirit. This book is powerful… more powerful than just the words written in it …. I definitely wanted more! I’m looking forward to a continuation of The Boss! Terry Newberry’s THE BOSS is not only a powerful message; it’s a spur to personal action. It’s sincere and practical. This is a book I’m giving to my children. The Boss is a book that is more than a book- it is a blueprint of life meeting success, of struggles turning into reality, and passion encompassed with persistence. Am I Taking Care of Me? Using a dull ax requires great strength, so sharpen the blade. That’s the value of wisdom; it helps you succeed. Imagine being nine feet in the air, standing on a flimsy board stuck in a slot that was cut into a tree trunk. Got that picture in your mind? Great. Now imagine that you are trying to set a new world record for chopping. By chopping, I mean that you are trying to chop through a 12-inch diameter aspen log – using a hand-held ax. So there you are up in the air on a rickety board that behaves pretty much like a diving board. It moves with every swing of your ax, threatening to dump your sweaty backside to the ground. Pretty tricky, right? Now, imagine that you are trying to set this new world record using a dull ax. I know, I know, not very smart. But that is what many of us do, every day of our life. We go out and attack the day, the project, the goal, the sale, whatever we have in our sights to accomplish that day. And we do it with a dull ax. By the way, there really is a competition event exactly like the one described above. It is called the Springboard Chop. In the real world of logging, this technique allows a working lumberjack to reach the softer wood often found above the base of the tree. The wood of the base is generally tougher and filled with more knots. So the lumberjack climbs above the tough wood, cuts a slot in the tree, inserts a base board, and starts chopping. In competition, the World Record for the Springboard Chop is held by Dave Bolstead. 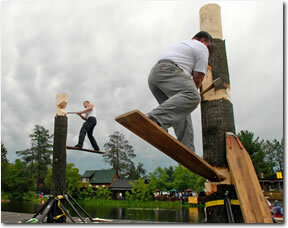 In 2003, he chopped through a 12-inch log in 41.15 seconds. That’s right. 12 inches in less than three-quarters of one minute. Tommy Sanders is a television commentator for the STIHL® TIMBERSPORTS® Series. Asked about Bolstead, Sanders said, “He trained incessantly. He studied every chop made by every competitor.” One of the analysts on the show called Bolstead “The Professor”. He was focused on learning and being the best in his field. Dave Bolstead started chopping wood when he was five years old, and by the time he began competing, had amassed a lifetime of chopping knowledge and technique. One of the things Dave would no doubt tell us is that perhaps the most important thing to do when you are attempting a new world record in chopping is to be sure your ax is sharp. OK, so you are not a lumberjack, and have no interest in setting a new world record in chopping. What does any of this have to do with you? Well, we aren’t really talking about an ax made of steel and wood. We’re talking about an emotional ax, a spiritual ax, a mental ax. We’re talking about keeping ourselves in tip-top condition so that we can accomplish all our goals and dreams. One of the problems for those of us who are Type-A-Driven personalities is that we only have one speed – full speed ahead. But any strength, overdone, becomes a weakness. If we commit ourselves to going full-out 100% of the time and never take time to refresh ourselves, we are doomed to failure. Laugh – There are hundreds of languages, but we all laugh the same. A study done in 2005 by researchers at the University of Maryland Medical Center linked laughter and the healthy function of blood vessels. There are even studies showing a correlation between laughter and pain relief. Maybe the Three Stooges had it right! Watch your inputs and outputs – what we put into our bodies affects us; our energy level and our stamina. What are you fueling your body with? How about rest – the machine needs time to repair and regenerate. What are you putting into your mind? Is it wholesome and uplifting, or does it cause worry and anxiety? Are you exercising? According to WebMD, experts recommend 30 minutes of exercise daily. But they also say that just 10 minutes of moderate exercise helped liven up the day. Just say no – set limits and boundaries. Know what your goals are, and be rigorous about defending your time. If it isn’t in alignment with your goals, let it go. It may be a little uncomfortable at first, but it will pay big dividends by helping you be more focused on your goals and critical tasks. E-mail, Schme-mail – Put it away. Turn it off. Unplug. Disconnect. Revert. Go old-school. Whatever you call it, do it. Get unlinked for a period every day – and not just when you’re sleeping! Draw the line, and then draw the line – once you set boundaries, be sure to get involved in some creative outlet. This works a completely different part of your brain than is normally engaged in daily problem solving. I can usually tell when I am getting out of balance because my creativity begins to diminish. Writing, woodworking and photography are some of the creative outlets that I enjoy. I was in New York recently doing some speaking engagements. I spent the better part of a day in Central Park trying to capture the spirit of the city through my camera lens. I came away from that experience with a renewed sense of zeal about my work. As a friend told me recently, there is a reason the flight attendants on airlines tell you to put on your own oxygen mask before trying to help someone else with theirs. Take care of you first, or there won’t be enough of you left to take care of anything – or anyone – else. Terry’s new book, The Boss, is available now in hardback, softcover, audiobook or kindle versions. Go to terrynewberry.com/theboss to place your order. Also available through Amazon.com. Do I Put People First? The lips only know shallow tunes. The heart is where great symphonies are born. He wrote and published over 40 books, traveled all over the world, and taught some of the best and brightest young minds of the past four decades. 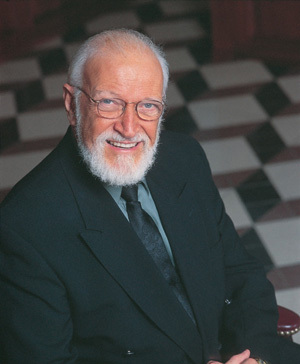 He wrote on topics ranging from faith to fantasy, from love to leadership, from philosophy to poetry. He was an accomplished artist, writer, musician, professor and leader. He was a modern renaissance man, a visionary whose interests were varied and relevant. His name was Calvin, and he passed away recently. Yesterday I learned of yet another loss. One of my colleagues was killed, the victim of a fatal accident. He was a bright, ambitious young man, filled with plans and energy. He was gifted in many areas. His name was Zach, and he too was my friend. These men didn’t know one another. Neither of them expected to die. Both of them left a tremendous empty spot in the universe. They have been, and will continue to be, celebrated and mourned in turn. Calvin’s passing left me stunned and filled with questions. Zach’s passage left me reeling. The unexpected nature of their loss affected me on a fundamental level. As I began to take stock of all the world had lost, I also thought about all it had gained because these two men had passed this way. The world was irrevocably changed for the better because of their lives. And I began to wonder, what was it about them that left such a powerful legacy? I know Calvin had a strong desire to mentor leaders, and Zach had a similar desire to help others in any way he could. And suddenly I saw it. They both understood the truth that People Come First. It was a truth they carried in their daily work. It showed in the way they related to others. It showed in how they responded to others. It shows in how lonely the planet has become without them. It is about the people. Businesses come and go. Trends come and go. Technology comes and goes. But people are the center of all of it. They are the customer, the end user. They are the inventors, the innovators. They are the service provider. They are the team that makes it happen. They are, quite literally, the lifeblood of it all. And every one of them has a dream. Every one of them has a life. Every one of them has someone they love. Every one has something about which they are passionate. Every one of them has a tremendous gift and talent in some area. So take the time to listen to them. You may learn something that will help you to be better able to accomplish your own goals. Take the time to care about them. Every investment in another human being, no matter how small, is powerful. “I am doing well, thank you. But I came over here to show you something.” From her purse, she pulled out a piece of paper that had been folded and refolded so many times it was threadbare. It was held together in places with clear tape. Unfolding it carefully, she held it out for me to see. I recognized my own handwriting. It was a thank you note I had written her for doing a good job on a project. I was speechless. The letter was over ten years old. That one note, that small act of kindness which probably took me less than 1 minute to write, had set in motion a chain of influence that I could never have imagined. People matter. If you would be a person of influence, if you would leave a legacy that resonates long after your direct influence, remember this truth and treat them as though they matter. People come first. The soul is dyed the color of its thoughts. He earned his living by practicing law. But he had a hobby – a passion really, for the game of golf. He began competing, mostly on a part-time basis, and quickly became the most successful amateur golfer ever to compete on a national and international level. In fact, in the seven years of his peak, he not only dominated top-level amateur competition, but also gave the pros a real run for their money, often defeating the era’s top professionals. He is the only player ever to have won the Grand Slam, a series of four major championships which preceded the Masters. He founded and helped design the Augusta National Golf Club, and went on to be one of the co-founders of the legendary Masters Tournament. His friends knew him as a gentleman. We know him as an extraordinary golfer. But there is more to his story. Bobby Jones was arguably the best amateur golfer ever to play the game. He was skilled, competitive and driven. But he was much more than that. 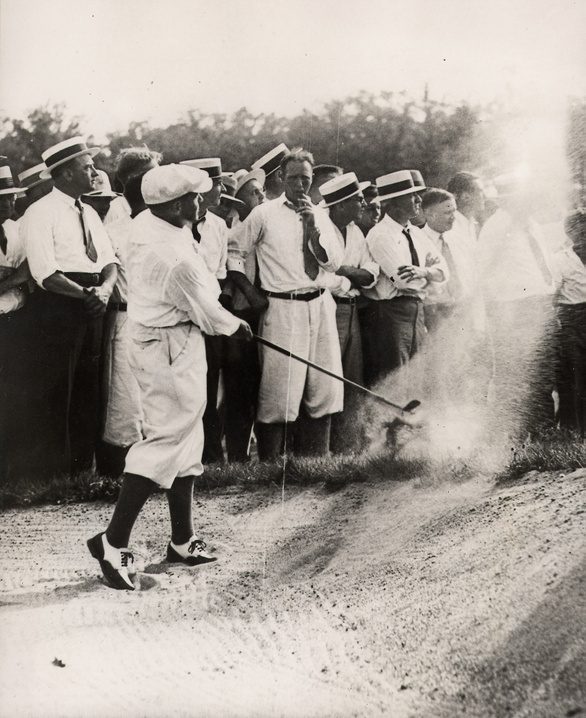 During the first round of the 1925 U.S. Open, held near Boston at the Worcester Country Club, he shot short into the rough on approach to the 11th hole. He eyed the shot, and as he took his stance to pitch onto the green, he accidentally brushed the ball with the head of his club, causing it to move slightly. Jones took the shot, and then told the USGA official covering the match that he was calling a penalty on himself. His partner, Walter Hagan, argued with him. After completing the round, before signing his scorecard, the USGA officials argued with him. He listened respectfully, but quietly pointed out that he had violated Rule 18, moving a ball at rest after address. He took a 77 instead of a 76. Bobby lost the 1925 U.S. Open by 1 stroke. His unyielding integrity ultimately cost him the championship. The thing is, no one knew he had brushed the ball with his club. It wasn’t intentional, it was an accident. But Bobby Jones was not only a great golfer, he was a great sportsman. Bobby Jones understood integrity. As I write this, the news is filled with allegations of fraud exceeding $2B in Switzerland’s UBS AG. Considered as the world’s second largest manager of private wealth assets in over 40 countries, this global financial services company provides investment banking, asset management and wealth management services for private, corporate, and institutional clients all over the world. The ripples of this allegation sent shock waves through world financial markets that were already reeling from other, similar scandals from the likes of Barclay, Plc. In a world filled with Lehman Bros, Enrons and Jimmy Swaggarts and HealthSouths and Bernie Madoffs and Jim Bakkers, integrity, purpose, and most of all, trust – seem to be archaic concepts. The interesting thing is that in all likelihood, most of these organizations employed at least some employees who were honest and trustworthy. Did they know of the trouble that was brewing in these companies? If so, did they try to do something to stop the deception? What would you do? Would you act with integrity? An important concept in personal, emotional, spiritual or relational success is to first lay the internal foundation – a foundation of integrity. A person cannot for the long-term consistently support one area of life in which they do right and another where they do wrong. We often equate integrity with honesty – which it is. But it is much more. Honesty is speaking truth. It means that whatever you’ve done, good or bad, you speak the truth about it. Said another way, you don’t lie. Integrity is more encompassing. It is the field in which honesty is rooted. Integrity means that you have a moral conviction, a code of honor that you adhere to. Your personal code of honor keeps you focused. It won’t allow you to do things that you feel would dishonor you. Patrick Morley, in his book The Man In The Mirror relates that The Institute of Behavior Motivation has found that ninety-seven out of one hundred people tell lies – and they do it about one thousand times a year. Are you one of the ninety-seven? Sometimes we make the mistake of confusing the consequences of our actions with the severity of our actions. Just because we won’t go to jail for doing some “small” wrong does not mean that it is okay to do it. Guilty is guilty. That isn’t even the point. The point is that if we aren’t trustworthy, we aren’t trustworthy. End of story. No matter how insignificant the lie seems. The trust is broken as surely by a small deception as it is by a large one. Jesus once told a story about a manager who was wasting the resources of his company. He summed up the story with a simple truth: anyone who can be trusted in little matters can be trusted in important matters. But anyone who is dishonest in little matters will be dishonest in important matters. Relationships are built on trust. This is true whether the relationship is with a spouse, a business partner, a coworker, or a friend. Trust is a very fragile thing; its foundation is truth. And that foundation can be weakened and destroyed as surely by small cracks as it can by large ones. What is your destiny shaping up to be? 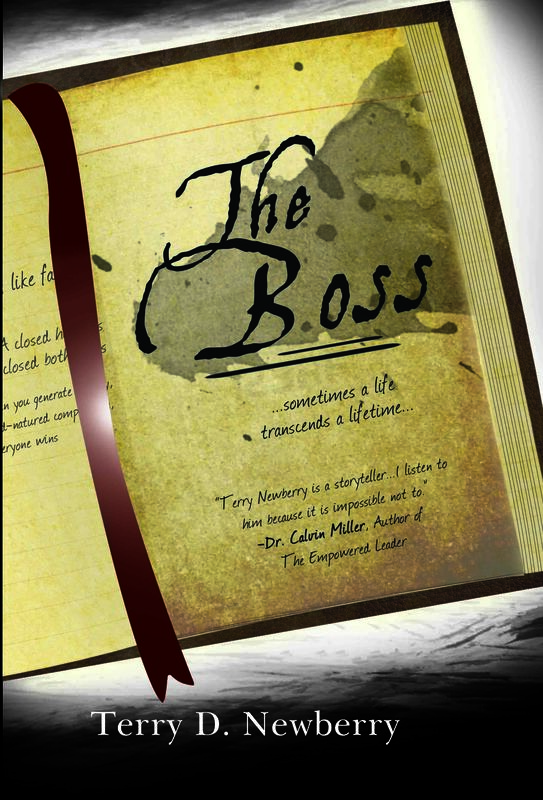 Terry’s new book The Boss is available in softcover, hardback, and audiobook. For more information on The Boss, go to terrynewberry.com. Also available at Amazon.com.